In February, the 6th Grade class of Alice Deal Middle School, here in Washington, DC, listened to T. Sanders and John Harrison talk about their experiences with homelessness. T with her Master’s Degree and John, a clean-cut soft-spoken man, do not fit the stereotype of someone who is homeless. They are both eloquent and motivational speakers, and boy did they motivate. Every year, students at Alice Deal Middle School dedicate one day near the end of the year to giving back. The students decide what they’d like to do for the day, often volunteering for a low-income meal program or environmental project. 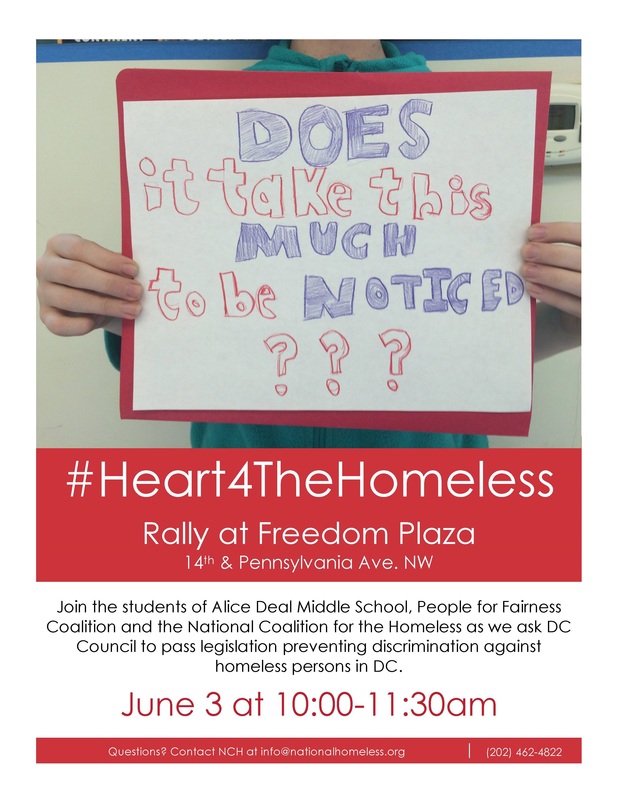 For the last several months, 6th grade students have been working with local homeless advocates to plan a rally in support of a measure that would add housing status to Washington, DC’s anti-discrimination ordinance. The rally will be held at Freedom Plaza in downtown DC, Wednesday, June 3rd at 10am. 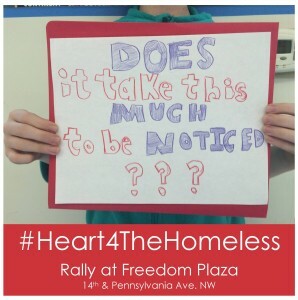 Stay tuned to Facebook/Twitter/Instagram for more on #Heart4TheHomeless. Actress Susan Sarandon spoke out against violence towards people experiencing homelessness. Ms. Sarandon voiced her support of our work protecting homeless individuals from hate crimes at a Congressional briefing in June, which followed the release of our annual Hate Crimes report. The international media joined the conversation about food-sharing laws following the publication of our new report on food-sharing restrictions. We were able to use this attention to target Fort Lauderdale, the most recent city to pass a ban on food-sharing in public. We worked with Arnold Abbott, the world-renowned homeless advocate, to mount a petition that has gathered more than 100,000 signatures opposing the city’s interference with groups feeding the hungry. 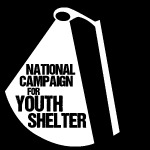 The National Campaign for Youth Shelter was officially launched. In June, nearly a thousand advocates and homeless youths gathered in NYC’s Washington Square Park to rally for additional resources for young people. To date, more than 75 partner organizations have joined on to support this work. 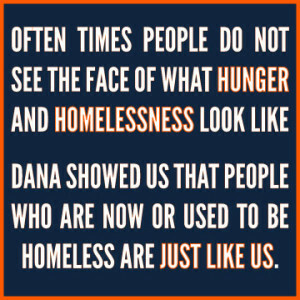 We had our most successful Hunger and Homelessness Awareness Week ever. Working with 450 schools, student groups, faith-based organizations, and community groups, we coordinated more than 1,000 events that offered opportunities for an estimated 65,000 people to get involved in the fight against poverty. The voices of those who have experienced homelessness were heard! Our Faces of Homelessness Speakers’ Bureau has spoken 265 times in the past year, reaching a combined audience of 16,600 people. We believe that individuals living in poverty are some of the best advocates and deserve to have a leadership role in any organizing effort on their behalf. Since 1999, the Faces of Homelessness Speakers Bureau has made over 3,000 presentations throughout the United States. It has held hundreds of events at synagogues, churches, public and private schools and universities, but never at a mosque. This was about to change. 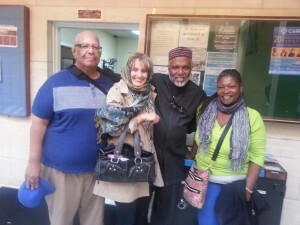 On September 13, Dana Woolfolk and Candi Darley became the first NCH speakers to visit a mosque. Dana and Candi were invited to speak at Dar al-Hijrah in Falls Church, Virginia by Imam Johari Abdul-Malik, the mosque’s Outreach Director. September 13 was a special day in Virginia – it was designated as a “Day to Serve” by the mayor of Washington DC and the Governors of Virginia, Maryland and West Virginia. In Northern Virginia, volunteers from religious communities collected food donations for the food pantries at Dar al-Hijrah and the Annandale Christian Community for Action (ACCA). Candi shared her experiences with “Day to Serve” volunteers at the mosque, and with the Latina women waiting to register for the food pantry. Originally from Panama, Candi had not spoken publicly in Spanish for years. But she made such an impression on the Latina women, mostly from El Salvador, that some of them discussed inviting her to speak about homelessness at their churches. Dana addressed over 150 Muslims, immediately following prayer services. He spoke movingly about how he had once been addicted to drugs and alcohol and lived on the streets for three years. But he overcame his addiction and now works as a therapist and Clinical Recovery Coach and has become one of the leading advocates on homelessness in Virginia. The Imam said he hopes to work with the National Coalition on a “Day of Action about Homelessness” in January 2015, when Muslims celebrate the birth of the prophet Mohammed. Thanks to Candi and Dana, NCH is now on its way to building a relationship with the Muslim community of Northern Virginia.